With the divorce rate so high it's a huge wonder to me why people even get married, let alone remarried. Statistics and studies reveal that second and third marriages usually end in divorce anyway. So why get married? There are the obvious reasons; wanting a family, falling in love with someone and wanting to spend the rest of their lives together. My take on this whole thing is that for most of us, we don't even know what true love is, or what being "in love" really is all about. People rush into marriages far too quickly (and too young) just so that they'll be better off financially, or for security reasons, or not to be alone (feeble reason), and, in the name of lust. They barely know themselves. So, once you divorce, with kids let's say, you immediately start the ball rolling again and everyone's a potential new partner. Why go backwards so rapidly? 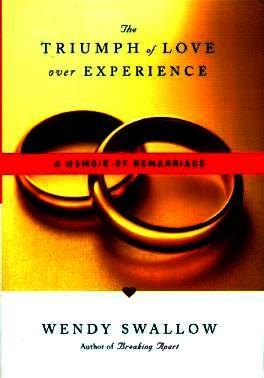 I enjoyed Wendy Swallow's personal story on getting remarried. Having been divorced for ten years, and seeing other men, "he" arrived on the scene and it all felt right. But, "he" was newly divorced (papers weren't through yet) and she felt that perhaps he was rushing things. Was he looking for a life partner or a maid to his two teenage sons? That's what would have crossed my mind. She had two teenage sons as well and both had great custody arrangements with their ex-spouses. Ms. Swallow relates her own fears and doubts as well as the many studies she came across about divorce/remarriage statistics. The great thing is that they discussed every aspect which was a mature approach, productive, and effective. In this case there was money involved (they both had money and careers) and money does have some influence on one's decision to remarry, or not, just as education and social standing plays a part in deciding whether to marry or not. Personally, I am not married, never have been, and don't believe that marriage is for everyone. No children either. The whole thing scares me and the putting together of a new life with someone else is so much more than what one imagines. I was particularly delighted to read how the teenage boys were considered and how they became a blended family. Conclusion - A mature approach to getting remarried. Worth reading.